Do you remember the last time someone smiled at you? What did the smile say? How did it make you feel? A smile is an instant connection between people. A smile can make a person feel welcomed or accepted. A smile may imply a mood such as happy or mischievous. A smile can even convey sadness or an apology. A smile can tell someone that you are confident or trustworthy. Smiles are extremely powerful! Smiles are also extremely contagious! At Pike Lake Dental Center, we are acutely aware of the value of a smile. 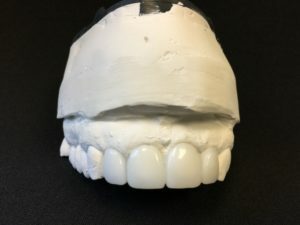 We want to help you make the most of your unique smile. Our goal, as dental providers, is to help you maintain a healthy smile with regular dental cleanings, x-rays and oral exams. If further treatment is required, we are there to help ensure you keep a beautiful, healthy smile. Your smile represents our office! What if you aren’t completely happy with your natural smile? The words “cosmetic dentistry” are sometimes associated with other words like “expensive” and “superficial”. That’s not necessarily the case. 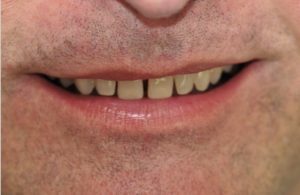 Smiles can be drastically transformed with minimal changes to a patient’s natural teeth. You don’t have to be a movie star to benefit from cosmetic dentistry. Cosmetic dentistry doesn’t have to cost a fortune, either. A whitening kit we offer at Pike Lake Dental Center. Sometimes there are small things a person can do to improve their smile, such as whitening their teeth. We offer our patients a fantastic professional take-home whitening package that produces beautiful results in the comfort of your own home. Studies show a white, bright smile emits feelings of confidence, overall health, financial success and trustworthiness. Those are positive qualities when on a first date or at a job interview. We’ve never had a patient return to our office and wish they hadn’t whitened their teeth. Most often we hear their biggest regret was not whitening their teeth sooner. 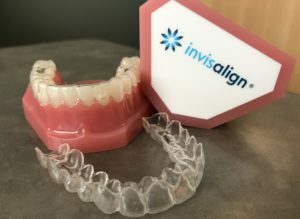 An example of an Invisalign aligner. A smile can also be greatly improved by Invisalign or full orthodontia. Did you know we are providers for Invisalign? We even offer free consultations for Invisalign, a program that straightens teeth through a series of retainer-like trays. Invisalign allows each individual patient to correct their teeth at their own pace. 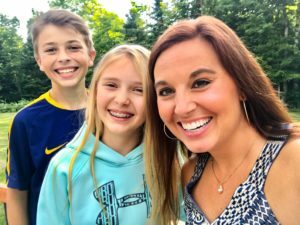 If the case requires full orthodontia, we refer our patients to the top orthodontists in the Duluth area. Straight teeth not only are aesthetically beneficial. Straightening a patient’s teeth can reduce wear and correct the way the teeth bite together. A great example of 4 porcelain veneers, ready to be placed at Pike Lake Dental Center. Crowns and porcelain veneers are tools we also use to help create a more beautiful smile. 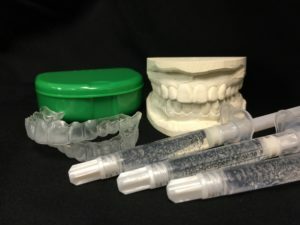 If it’s a cosmetic case, especially involving front teeth, we can create a wax build-up with a dental lab to see the results before treatment is started. Crowns and porcelain veneers are strong and durable and mimic the beautiful lustre of natural teeth. Did you know Dr. Matt wasn’t happy with his natural smile? It took him until he was in his 40s to finally commit to a change. Here is a photo of his natural teeth. This is his new smile with porcelain veneers. He is much happier with his smile now and proud to show it off. Improving your smile doesn’t always need to be a dramatic change, but the aesthetic and psychological results can be astounding. 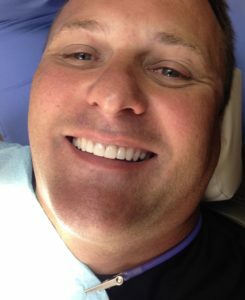 Just after Dr. Matt’s porcelain veneers were placed. Don’t be afraid to share your smile with the world! If you’d like to improve your smile, we are here to help you. At Pike Lake Dental Center, we want to partner with you to keep your smile healthy and bright. Remember, your smile is powerful!